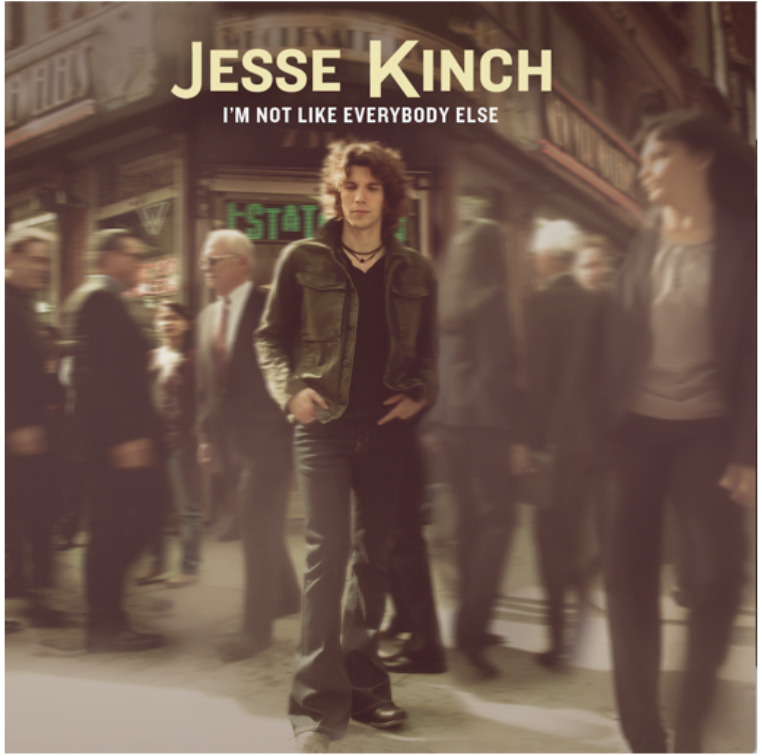 Jesse Kinch's long-awaited full-length "I'm Not Like Everybody Else" is out now on Curb Records. The album premiered exclusively with AXS, and is available on all platforms. For more information, please visit:jessekinch.com/. Kinch said, "This album truly represents me as an artist, and embodies the many greats who have paved the way and have lent me their inspiration. Most importantly, this album is true to my vision and all those who have loved, supported, and believed in me throughout this long journey." Ahead of the album, Kinch released four singles, including a cover of Michael Jackson's "Billie Jean," as well as original tracks "How Do I Reach You (The Last Veil)," "I'm Not Like Everybody Else" and "Preaching Like The Pope". Since winning ABC's Rising Star singing competition series, Kinch has been working to craft the sound that gave him success on the show, and on a debut album that reflects his artistic integrity. Kinch's sound is an ode to the classic rock giants that came before him, but also artfully combines his diverse inspiration from artists across an array of genres. An early exposure to opera artists Andrea Bocelli and Sarah Brightman gave him a deep appreciation for the "pureness and beauty" of music. At the same time, Kinch was listening to the unique vocal styles of artists such as Bruce Springsteen and Eddie Vedder, who further inspired him. Eventually, he picked up an acoustic guitar at age 6 and began performing at age 11, leading him to venues in New York City and the role of the title character in the off-Broadway musical The Story of Eddie Money. His win on Rising Star at age 20 gave him the platform to continue his cross-generation brand of songwriting and performing. From soulful covers of classics like "I Put A Spell On You" to the more contemporary "Seven Nation Army," Kinch was able to introduce old school rock to a young audience during his time on the show. With his full-length album, he continues to infuse modern elements of rock into his songwriting and covers.